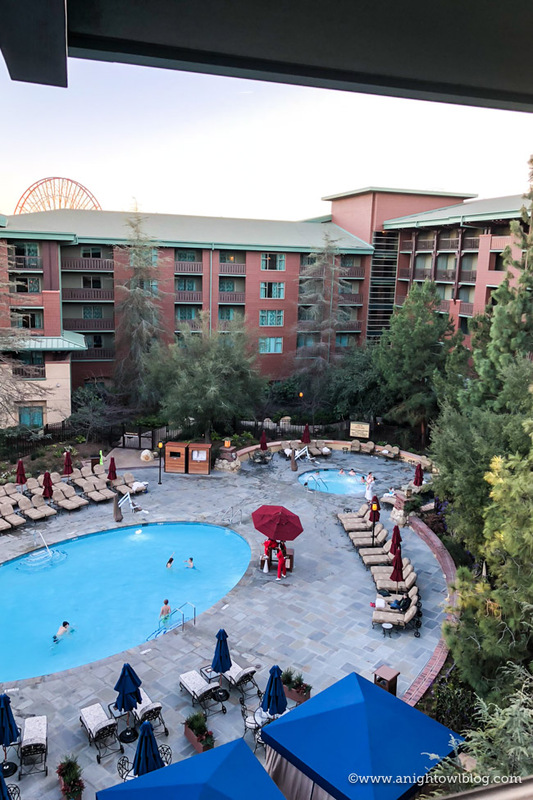 From Extra Magic Hours to a Private Entrance into Disney’s California Adventure Park, check out our top 10 Reasons to Stay at Disney’s Grand Californian Hotel & Spa. 1. Accommodations. One of the main areas of renovation was in the guest rooms. 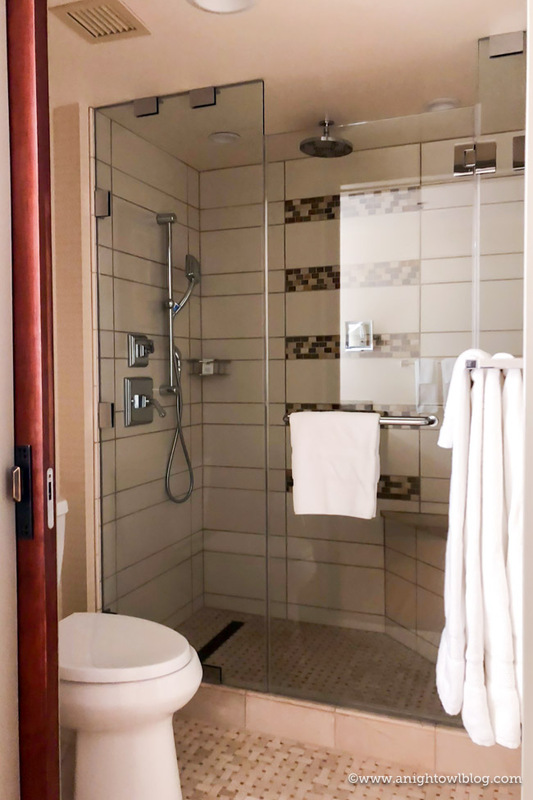 “Every single element in the redesigned guest rooms is new—from flooring and walls, to furnishings and bathrooms. Upon entry, guests will notice beautiful hardwood-inspired flooring transitioning into soft, bright-toned carpeting. Linens and pillows are restyled in a bright, white palette and upgraded bathrooms include new fixtures. 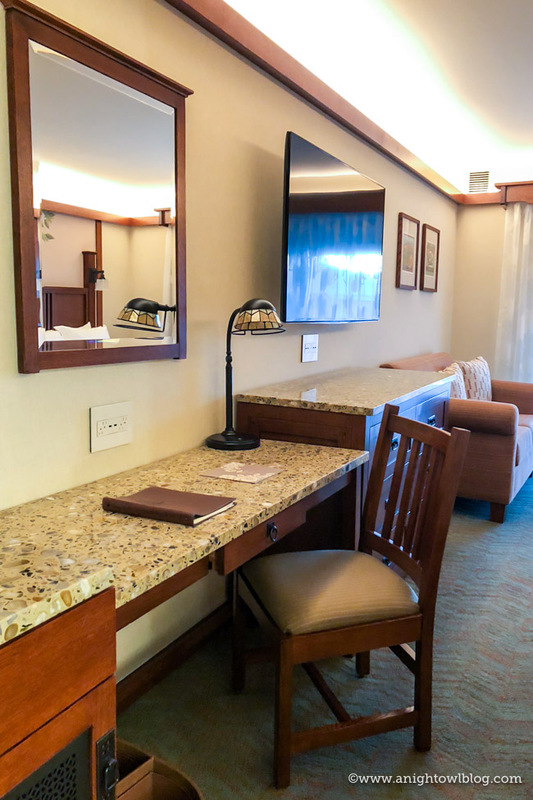 The room decor features all-new furniture made of quarter-sawn oak, specially designed for each room, as well as California-inspired artwork.” I absolutely loved the room. It was gorgeous and comfortable and also included a 55-inch smart TV, Keurig coffee maker and built-in USB chargers. And you know that comes in handy when charging your devices to capture all those Disney moments! 2. Extra Magic Hour. 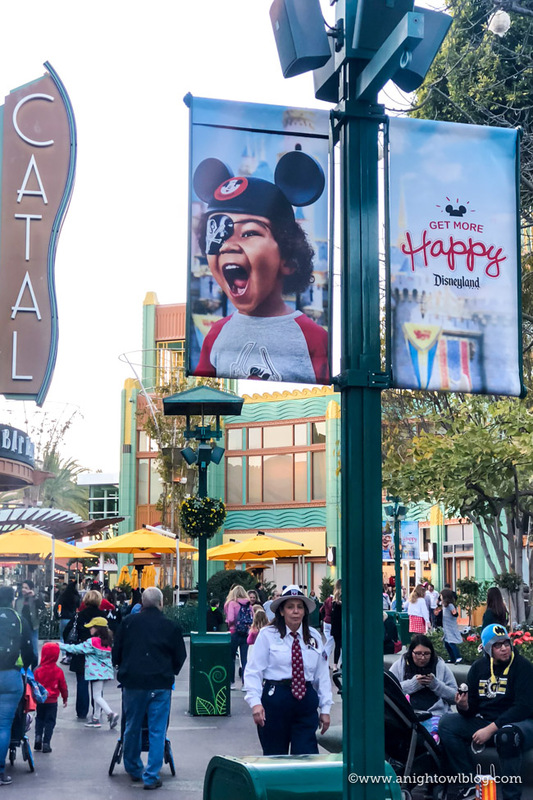 I also stressed the importance of Extra Magic Hours when we covered 10 Reasons to Stay at Walt Disney World® Resort, but I’m going say it again. Extra Magic Hour is one of my favorite perks of staying at Disney Hotels! 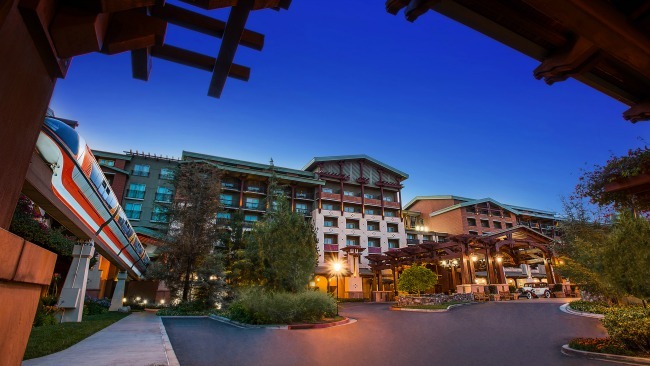 With Extra Magic Hour, guests staying at Disneyland Resort hotels also enjoy early entry to select Disneyland or Disney California Adventure attractions (valid theme park ticket and active hotel room key required). It’s such an amazing perk, especially if you want to start the day early before it gets busy or hit popular attractions before the park is open to the public or even close down the park. On this visit I had the chance to run down to Disney’s California Adventure Park for extra magic hour at 8am on a Friday. It was so enjoyable! I snagged fast passes to Guardians of the Galaxy: Mission Breakout, rode Radiator Springs Racers and was in the front of the line to eat breakfast at Flo’s V8 Cafe when it opened. 3. Private Entrance to Disney’s California Adventure Park. 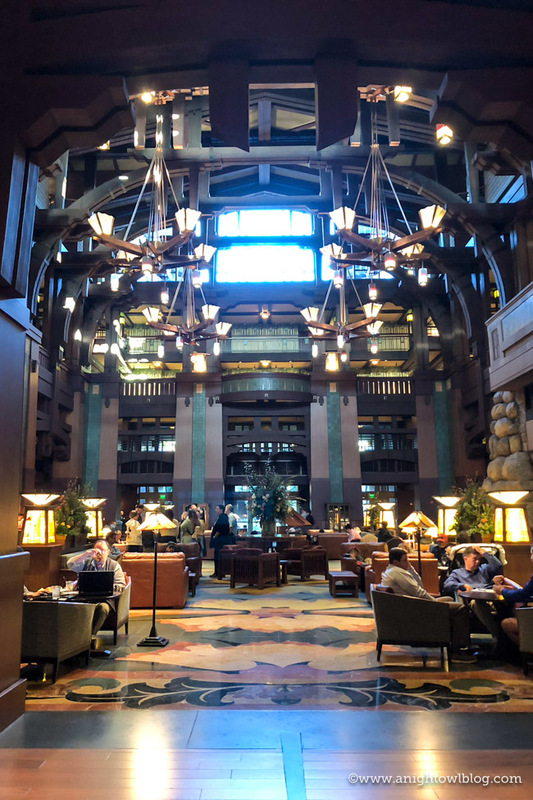 I have always seen the entrance to Disney’s Grand Californian Hotel & Spa on visits to California Adventure and thought “wow, I’d sure love to stay here.” And boy I was right. Early Friday I headed down to the private entrance to California Adventure from the Grand Californian and was pleasantly surprised by how quickly the line moved! Just like that we were right in the heart of the park. And because of the media event I went back and forth to the hotel throughout the day and I have to tell you it couldn’t have been easier. Staying here would be perfect for the family; especially if you have little ones who need to go back for a rest during the day. 4. Right by Downtown Disney. 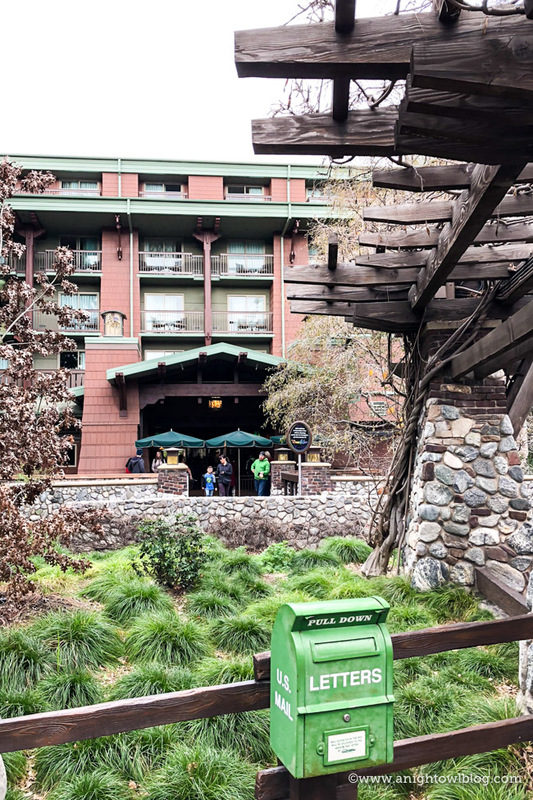 There are two exits out of the Grand Californian that lead to the parks; one the private entrance to California Adventure and the other takes you right into the heart of Downtown Disney! 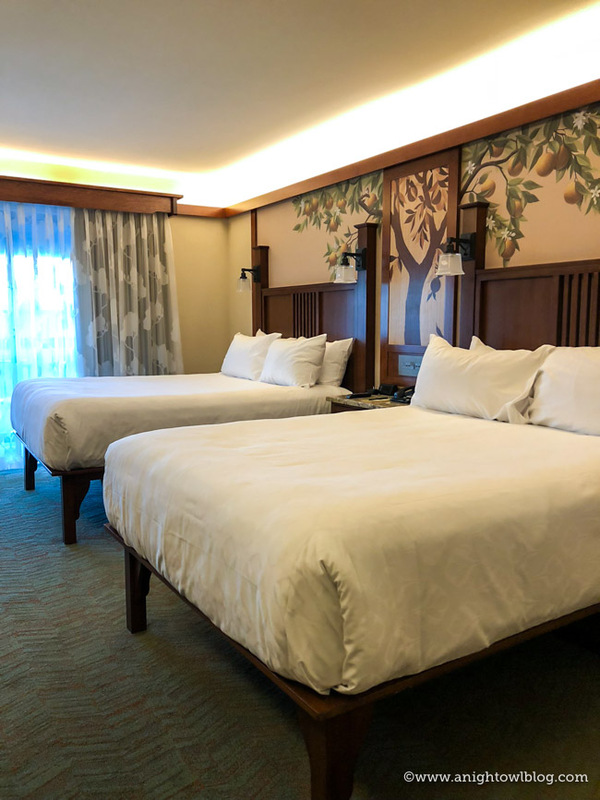 I loved that in the evening after I closed down Disneyland I could run up to the room for a bit and still head back down to Downtown Disney for dinner, shopping, dessert, coffee and more! I honestly haven’t spent that much time at Downtown Disney the past couple of years so it was nice to be so close. 5. Minutes from Disneyland. 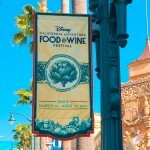 With the entrance to Downtown Disney, you probably realized that Disneyland is not far away, right?! After checking in and getting settled in the room I headed straight to the park. Just a few minutes walking through Downtown Disney I was at the gates ready to go! Such a great location all around. 6. Dining. 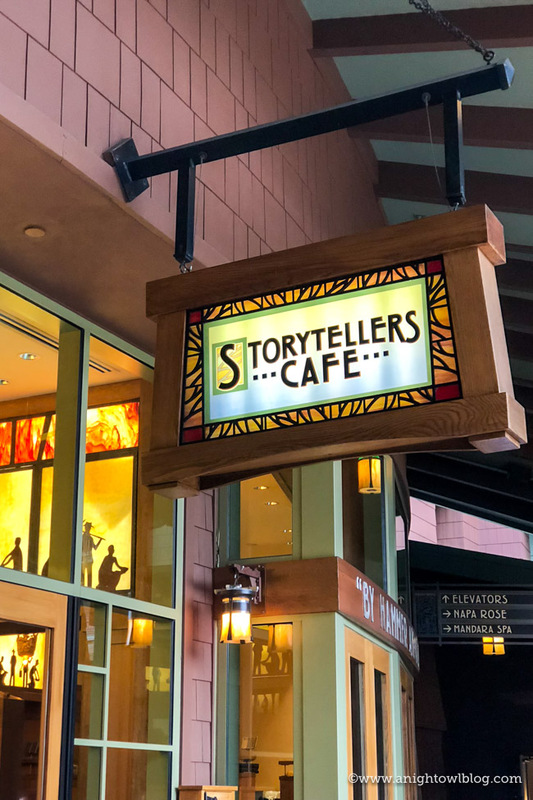 There are many dining options at Disney’s Grand Californian Hotel & Spa from Napa Rose for upscale dining to Storytellers Cafe for Character Dining! That’s right, there is a Character Dining option right at the hotel. 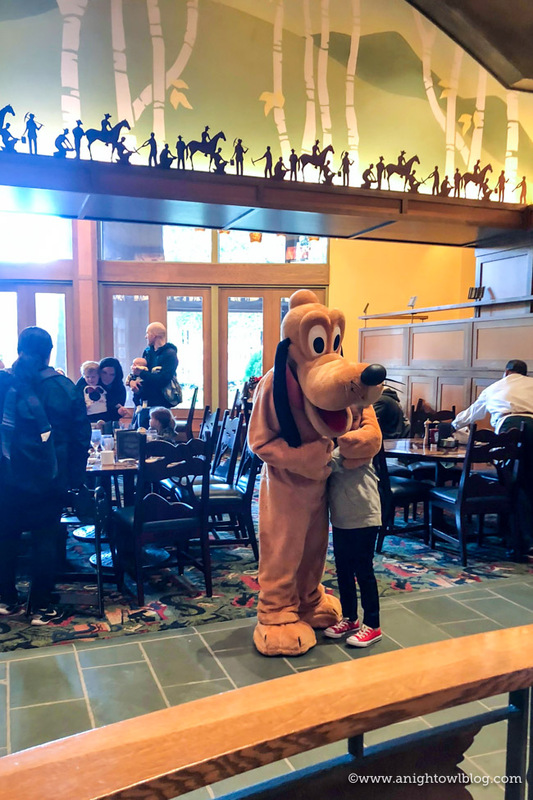 What I love about this Character Dining experience is that it’s less well known and not in the parks, meaning the chances of snagging a reservation last minute are great! 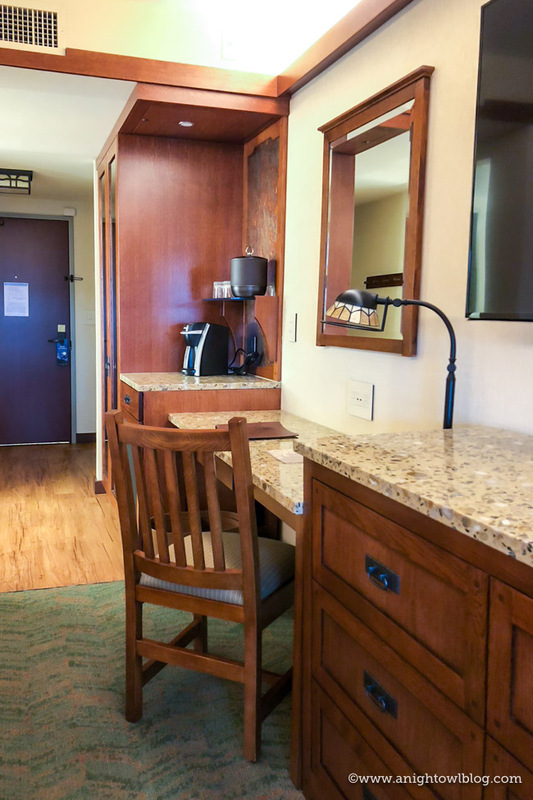 The Grand Californian also has two lounges, grab and go options at White Water Snacks and in-room dining. It’s great to have these options to choose from for all your dining needs. 7. Great Hall Lobby. Also part of the renovation, “the already stunning six-story Great Hall lobby has been upgraded with new, stylish furnishings and design elements. To complement the existing Arts and Crafts motif, new contemporary designs can be found throughout the furniture pieces, upholstery, woodwork and carpeting.” For me, the lobby was one of the areas that really took my breath away during my stay. Warm and inviting, I was surprised how many people were lounging and just enjoying the ambiance of the Great Hall Lobby during my stay; just a stunning space that you’ll want to spend some time at during your visit. 8. Pools. 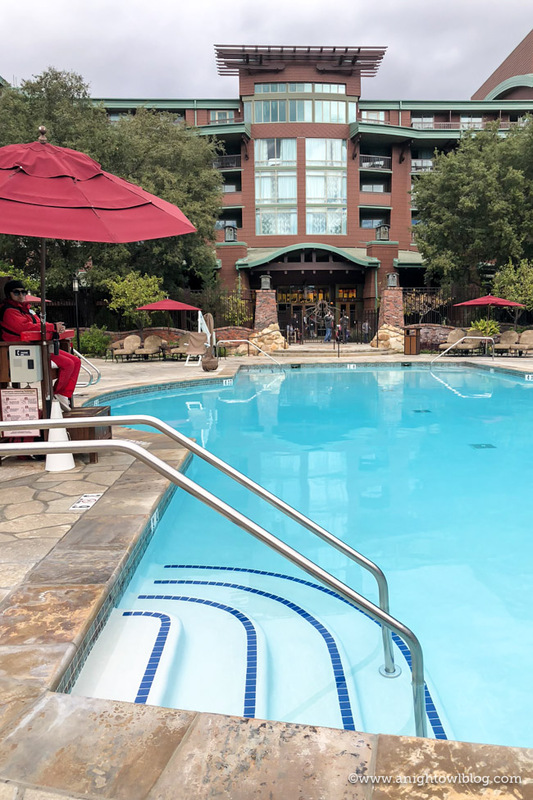 Also part of the newly renovated features, “each of the three pools have been redesigned with a variety of natural stones and brick to not only create a warm and welcoming environment, but also define the distinct pool settings.” I was impressed by the lovely pools at the Grand Californian! And this is coming from someone who lives in Phoenix, the land of water parks and pools. There was plenty of lounging space, stunning cabanas and large sized pools to accommodate guests. 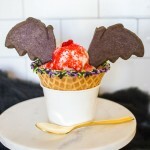 They would be a great way to unwind after a busy day at the parks. 9. Shopping. Since I went on this excursion solo, I of course needed to pick something up for the boys. 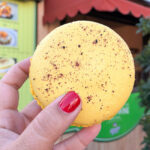 One thing that I loved is being able to stop at a Disney shop on my way out to meet my ride to the airport and grab Disney foodie goodies for my kids (ok, and me). 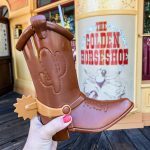 There were plenty of fun items you’d find in the parks right from the convenience of shopping at the hotel. 10. The Disney Difference. 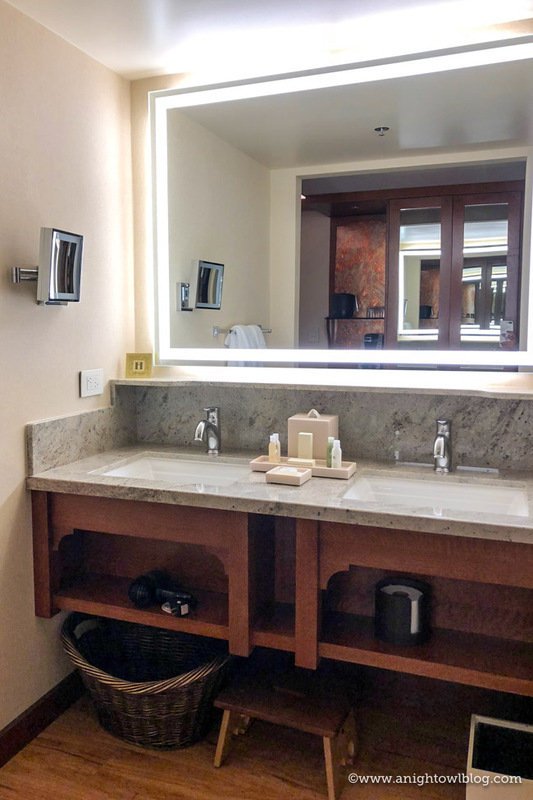 I covered this in our post on Reasons to Take Your Family to Disney’s Aulani but it’s worth saying again: Disney just does things better. My family adores Disney vacations because not only is there something for everyone in the family, taking into account our little guy at age 2 all the way up to adults and grandparents alike, but everything is done in top notch fashion. 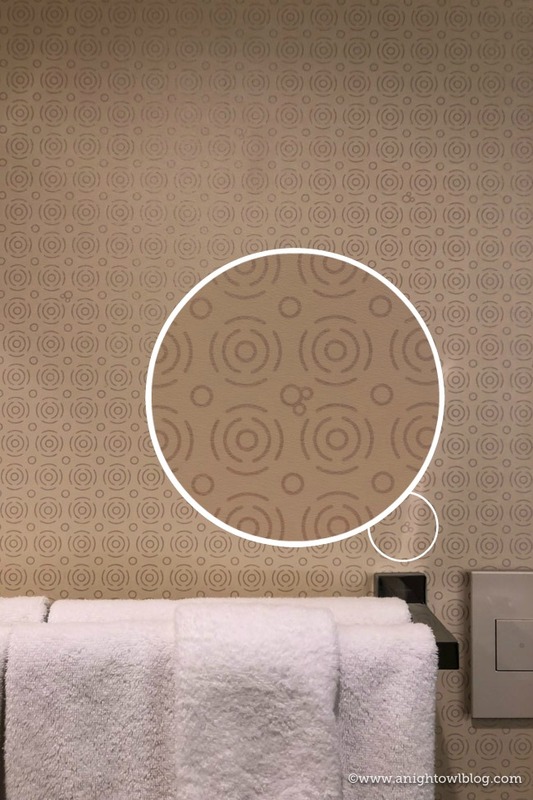 If you’re a Disney fan like we are, then you’re going to appreciate seeing characters and finding hidden Mickey’s throughout the resort (for example, check out the adorable bathroom wallpaper below). But even if you’re not Disney-obsessed, what you’ll find is attention to detail in every aspect of your stay. From the moment you step foot into the hotel to the moment you leave you’ll be greeted by cheerful and helpful staff ready to make your family’s stay as comfortable and as memorable as possible. So there you have it, friends! 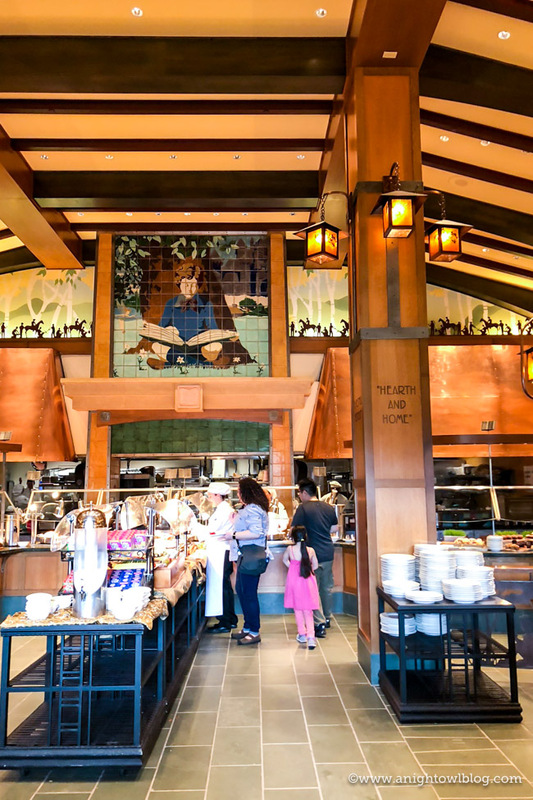 10 Reasons to Stay at Disney’s Grand Californian Hotel & Spa – what do you think? Did I convince you? I hope so; I can’t wait to book our next vacation with the entire family! I know my boys are just going to flip over staying here. Ready to book your trip? Head here for availability and rates. Love that shower! Hidden Mickeys are the best.